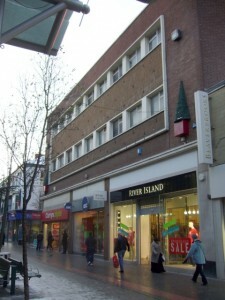 In Middlesbrough the former Woolworths in the Hill Street centre was actually Woolworths’ fourth store in Middlesbrough. 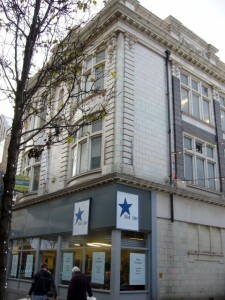 The first was on Linthorpe Road, opposite the Sony Centre. In the 1950s they moved a few doors up Linthorpe Road to a new Department Store, just before Binns corner. This was one of the many larger stores which had large food halls which closed in the early 80s when the British arm of the business was sold. This building was split into three separate units. For a few years there was no Woolworths presence in Middlesbrough. Then in about 1990 there was a short-lived Woolworths Music & Video store in a corner unit diagonally opposite the store you visited. 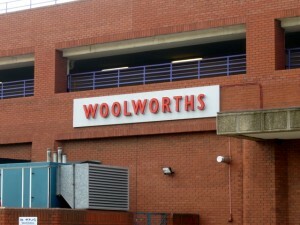 You may therefore have visited a further three former Woolworths. Needless to say, I couldn’t resist the opportunity to do a bit of digging around into what Gareth had told me. A bit of Googling later, I’d come across this great Evening Gazette blog post about the history of Woolworths in Middlesbrough, including a fabulous photo (below) of the Mark II Linthorpe Road store – known as Central Buildings – on its opening day of 3 September 1958. Here’s a clearer view, taken from the opposite direction. 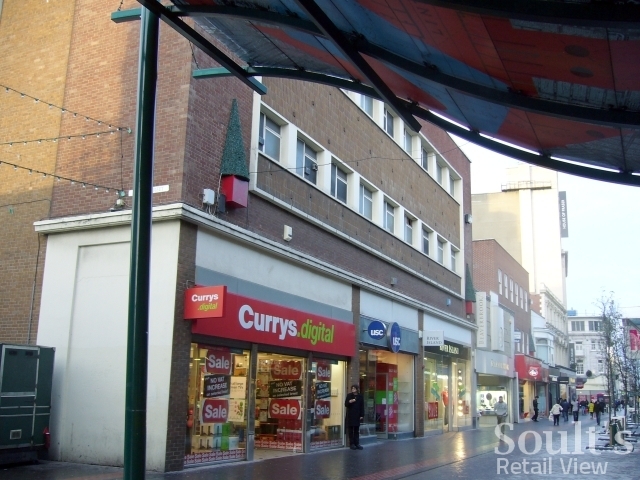 As you can see, the ground floor has been subdivided into smaller units, which today house Currys.digital, USC and River Island. 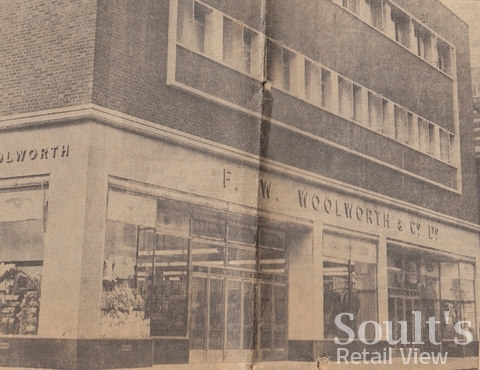 In comparison, locating the original Linthorpe Road Woolworths has proved much more of a challenge – and even now I’m not sure that I’ve managed to identify the right building. Gareth had referred to it being “a few doors” from the 1950s Woolworths and “opposite the Sony Centre”, but the only Sony Centre that I could find details of prior to my visit was the one in Captain Cook Square – well away from any Linthorpe Road frontage. I had some vague recollection, however, of reading something a few years ago about the Middlesbrough Sony Centre having moved location. Perhaps Gareth was referring to where it used to be? 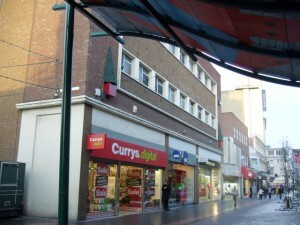 Is this Middlesbrough's original Woolies? Perhaps someone in the know can reveal whether or not I’ve correctly identified Middlesbrough’s original Woolworths? Following my visit, a bit more digging suggests that I can’t be too far off the mark – it looks like the Sony Centre did used to be in Linthorpe Road (#98), in a unit that now appears to be occupied by Carphone Warehouse, and that is more or less opposite the building that I photographed. So, some one out there had better put me out of my misery! Am I right, or am I wrong???!! Next story Is this shop in Shields Road, Byker an old Woolies? That’s a great find Ali – many thanks! So it looks like the white Radio Cleveland building was the original Middlesbrough Woolies after all! Following up on your question of whether or not you’d correctly identified the original Middlesbrough Woolies, I’ve acquired a 1913 postcard showing that part of Linthorpe Road with Woolworth’s on the far left. Better late than never, here’s a photo of the former Woolies store in Linthorpe village, Middlesbrough. 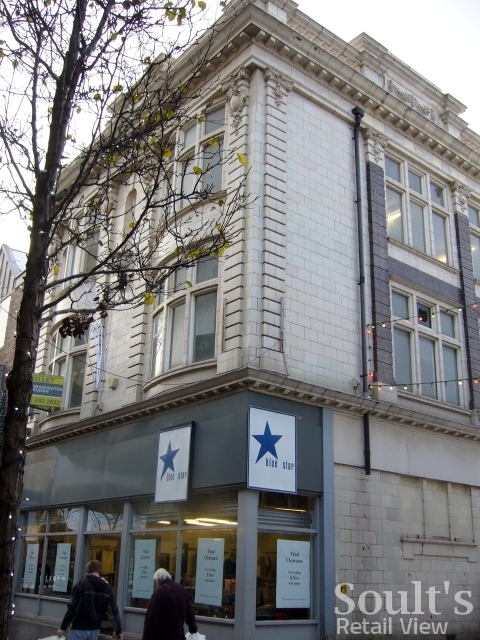 It bacame a branch of TSB after it was Woolies but I can’t remember if was occupied by anyone else before Boots moved in from a few doors up Linthorpe Road. Thanks for your speedy reply, Ali! Really interesting again. I’d certainly be interested in seeing a photo of the former Linthorpe village Woolworths! I’m not sure you’ve found the right building. My Mum used to work upstairs in there when it was a Tax Office. It later became the home of Radio Cleveland. It’s hard to know for sure as the Sony Centre didn’t exist in the 1950s and I would have said that “moving up” Linthorpe Road would mean that the original Woolies was further “down” Linthorpe Road toward the station. I’ll ask my Mum’s cousin where the original was – she’s much older than me! You’ve not mentioned the Woolies in Linthorpe village much further up Linthorpe Road. I can’t give you dates but I used to do my Grandma’s shopping and call in there and the Co-op back in the 1960’s. 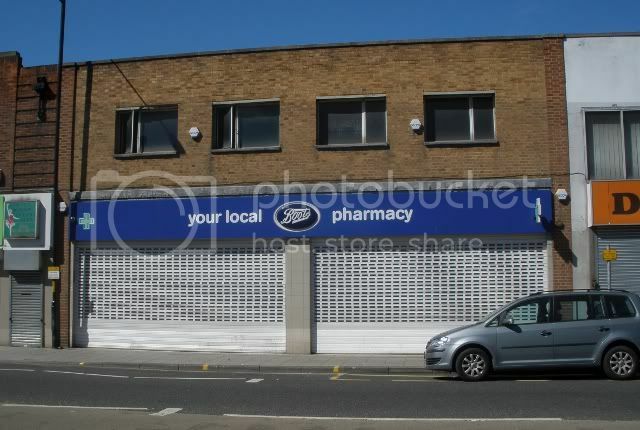 It closed before the one in the town centre and became a branch of the TSB and is now a Boots chemists. Let me know if you’d like a photo of how it is now.